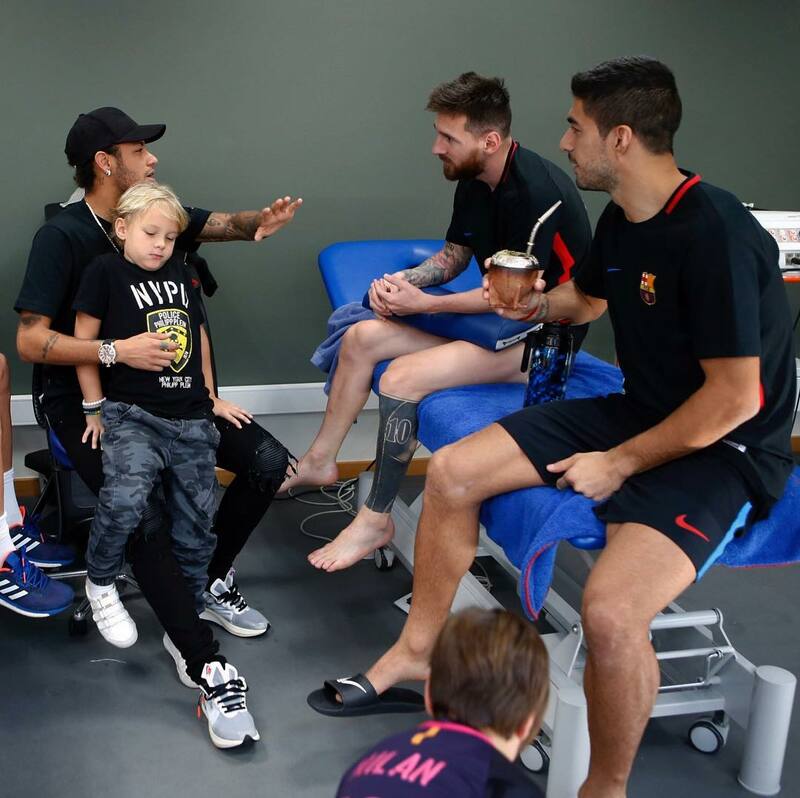 Having moved away to Paris Saint-Germain a few months ago, Neymar returned to Barcelona over the weekend to catch up with a few of the old friends he left behind, namely Lionel Messi and Luis Suarez. With PSG playing on Friday, the Brazilian striker took advantage of his schedule to fly back to Barcelona to watch his former sporting siblings in action against Athletic Bilbao the following evening. Indeed, the fabled MSN strikeforce reunited for a pleasant chat in the massage suite after the game, with Suarez also pictured holding his seemingly obligatory cup of mate tea. Friends will be always friends....Neymar went all the way from France to Spain just to watch both Suarez and Messi.....Lol maybe they were talking about that penalty incident of Neymar and Cavanni.